Craniosacral Therapy takes a whole-person approach to healing and the inter-connections of mind, body and spirit are deeply acknowledged. Using gentle techniques, coupled with intension, intuition and compassion, this work can support deep releasing of old patterns held in the body, and is especially helpful after accidents and surgeries. Visionary cranial work uses our divine guidance to see the invisible. It is shamanic work that perceives with the inner eye, listens with the inner ear and feels with the inner heart. 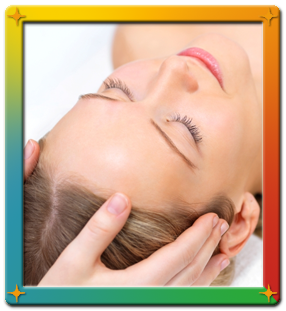 Craniosacral Therapy is an effective form of treatment for a wide range of illnesses helping to create the optimal conditions for health, encouraging vitality and facilitating a sense of well-being. It is suitable for people of all ages including babies, children, and the elderly, and can be effective in acute or chronic cases. Cranial Work must be done in person.